Award winning Delice de France started 2014 in triumphant fashion, winning the Product Launch of the Year (Food) Award at the prestigious Essential Café Trade Awards 2014 for their new and innovative food-to-go Hand-held Pizza. The awards celebrate the very best products within the café and coffee shop market focusing on supporting and expanding this vibrant and exciting sector. Essential Café Award winners are decided in private by an independent panel of judges, evaluating all qualifying entries and validated as to what makes them Award Winners. 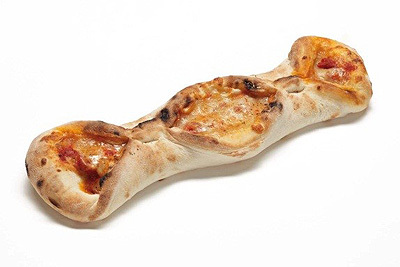 The award winning Hand-held Pizza is an exclusive range introduced by Delice de France last October 2013. Made in Italy, the pizza is authentically prepared with hand rolled Italia dough (flour type 0), followed by a tomato & rich mozzarella filling and finished off with hand laid toppings of ham. The pizza is pinched in the middle to create the perfect and delicious hand-held snack that is destined for cafés with smaller oven space & even better suited for customers looking for food on the go. With 39% of consumers relying on food-to-go due to their time starved lifestyles and 59% of them wanting to grab and go at lunchtime, the Hand-held Pizza is a no brainer for operators to add to their hot food-to-go range. The British love eating pizza with eight in ten (83%) adults eating pizza in the six months up to April last year. With summer, the Notting Hill Carnival and the World Cup around the corner, the Hand-held Pizzas could prove to be one of your summer best sellers. The innovative pizzas are fast becoming one of Delice de France’s most popular new product developments and could soon be one of yours – did we mention how delicious they are too! To order or find out more about the award winning Hand-held Pizza, get in touch with one of the company’s local sales representative on 0844 499 3311.